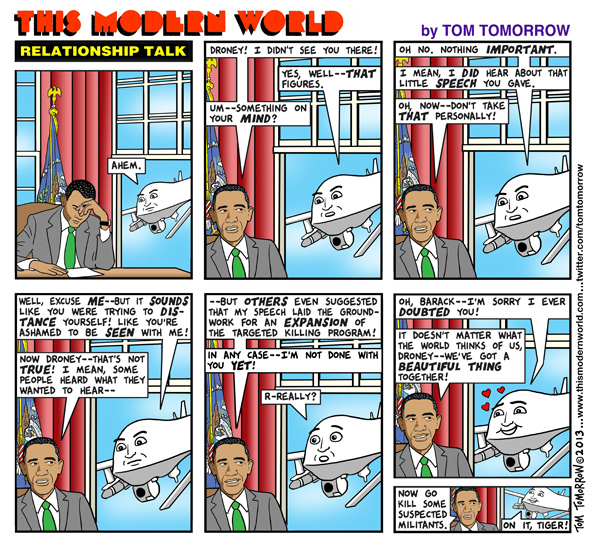 Can Talking Drones Trust Obama? It may be a bumpy ride, but this relationship was made to last. For more toons, checks out Tom Tomorrow's recent posts.